Okay everyone loves a good story right? Well here's the one I was told on this pistol. I purchased it from a gentleman in Louisiana near the town of Homer. Homer is where Pat Garrett's Family lived and the location of their family farm. 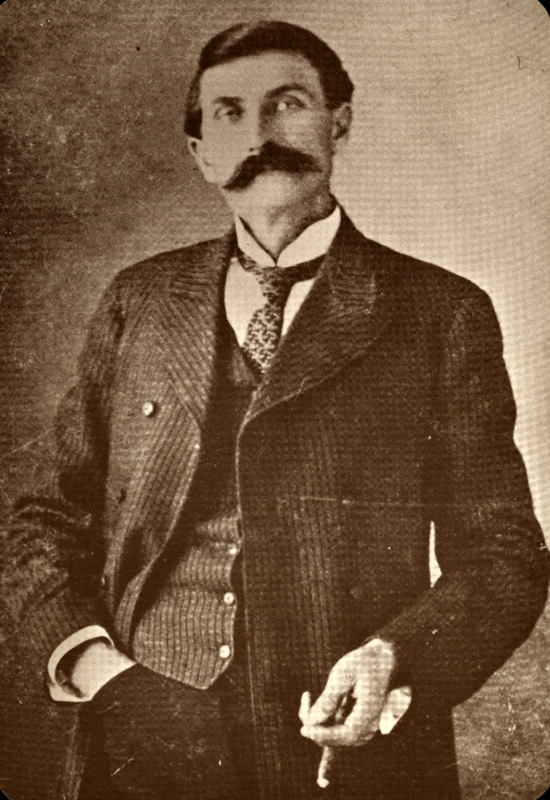 For those who don't remember, Pat Garrett was a legendary lawman of the Wild West famous for shooting Billy The Kid. 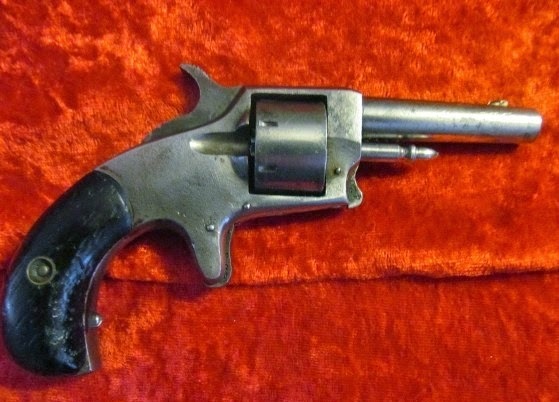 The story is Pat Garrett gave that this little Freeman W Hood, 1876 Centennial revolver to his little brother Alfred Jarvis Garrett along with another little pinfire pistol for his 21st birthday. Alfred left it to his son who later sold it to the grandfather of the person I bought it from. After that it was passed down as a family heirloom along with the story. The person I purchased it from seemed to genuinely believe the story. The only problem is how can I possibly ever really verify that all this is true? It's not like a Smith and Wesson where you can write the factory for a record of who purchased it and where. Any suggestions would be greatly appreciated! Also see the video here. A bit of info I found on the pistol design. "While some major manufacturers like Colt and Smith & Wesson made similar designs with minor differences in appearance and function...and others like Iver Johnson, Whitney Arms, Merwin Hubert, and Hopkins & Allen went with their own similar designs and clones, a lone gentlemen by the name of Freeman W. Hood was the designer of the Centennial pistol I now own. His design ( Patent #160,192 ) was approved on February 23rd, 1875, and the blueprints and patent claim below are proof positive that his Hood Firearms Company design was showcased at the Philadelphia Centennial World Expo of 1876. He went on to make minor changes in this design in later months/years...then he was soon lost in the annuals of history." Irvin Understand yoy have some questions for me from Kate Kruger you can e-mailme @ rel4350@aol.com that would be the easiest way to get in touch with me.